If you are a Virtual Assistant (VA) or have thought about becoming one, make sure you subscribe to my YouTube channel for the best advice for growing your Virtual Assistant business. This blog post outlines the BEST virtual assistant services to offer in 2019. Are the services you plan to offer in 2019 on this list? Let’s find out! Side note: Let me preface this post by saying this list is my personal opinion on the top services a Virtual Assistant could offer to land clients quickly. This is based off of demand, but also how many Virtual Assistants I see offering this service. Got it? Here are the top 10 virtual assistant services I see being in high demand in 2019. While social media platforms have had their ups and downs, blogging still remains one of the most popular ways to increase traffic to a website. If you are good at writing, learning some basic blogging and copywriting techniques could be very beneficial in 2019. Not every business owner is ready to hire an Online Business Manager (OBM) or Project Manager. But when they do, they are looking for someone skilled and experienced. There are fewer Online Business Managers than Virtual Assistants, so the market is not as saturated or competitive. If you are a type-A person who LOVES systems, an Online Business Manager or Project Manager may be the perfect role for you. While there are a lot of website designers and graphic designers in the field, there is also a HUGE need for them! Almost every business needs a website, right? Websites also require regular updates and maintenance. I don’t see the need for this service decreasing anytime soon! Podcast Management is one of my FAVORITE services to suggest to Virtual Assistants, because there are SO many people starting podcasts and so FEW service-based businesses offering podcast management. This service is not only in demand, but it’s easy to systematize and scale as you grow your business. Check out my friend Jordan Gill’s podcast management business Pimp Your Podcast for an awesome example of podcast management packages. I’m just going to throw this out there… more and more people are getting frustrated with paid advertising like Facebook and Instagram ads. And I think that as a result, MORE people are going to start searching for traffic on organic platforms. This is one of the main reasons I believe YouTube is going to increase in 2019 – which means an even greater opportunity for Virtual Assistants who offer Youtube editing and management services! I want to hear from you – do you agree with the trends I’m seeing will take place in 2019? Comment below and let me know! Instagram Management as a service is SO hot right now for so many reasons. Instagram is a platform that takes TIME, since the goal of Instagram is to curate a well thought-out, beautiful feed. Small businesses need HELP to make that happen. Instagram Management is incredible because with a few simple strategies, you can increase visibility, grow followers, and show these stats off to your clients. Let’s talk straight here. People are FRUSTRATED with Facebook right now. Pages are getting less engagement (unless you pay to boost your posts), ads are getting denied more and more, and overall, it is starting to feel like you almost HAVE to pay to play. However, businesses with budgets (even small ones) still CAN pay to play and that can be to your advantage! In addition, almost every single business is on Facebook, so offering Facebook Management services still sits high on the list, because of the demand. I see SO many people that get frustrated because they don’t have a “high-end” skill to offer right off the bat. Guess what? 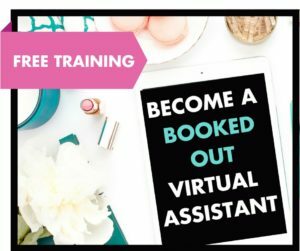 MOST businesses hiring their first Virtual Assistant are really just looking to outsource the SIMPLE tasks in their business so they can have more time. That’s good news for all of my General Admin Virtual Assistants out there – and why this service makes it to number 3 on my list for 2019’s most in-demand services. Ah… Pinterest Management. There is a reason you are seeing so many Pinterest Managers popping up lately. Pinterest is one of the cheapest and easiest ways to get ORGANIC traffic to a website. More and more small business owners are jumping on the Pinterest Bandwagon and I suspect a HIGH increase of Facebook Ad users will jump ship and start use promoted Pins to drive traffic in 2019. 👉Don’t forget! We have an INCREDIBLE Pinterest Management training in our SavvyTech Lab. If you’ve thought about Pinterest Management as a service – head over to thevirtualsavvy.com/savvytech to check it out! Here is the NUMBER ONE service that I see being in high demand and low competition in 2019…. Yep, I said it. OUTREACH. Again, people are looking for organic traffic to their website and they are so done being burned over and over by paid ads. This means that more business owners will not only be starting podcasts, but also looking to be guests on podcasts. I’m including PR outreach with Podcast outreach simply because there are SO FEW service providers offering this service currently, so it is a great time to jump in and become the go-to expert in this service niche. 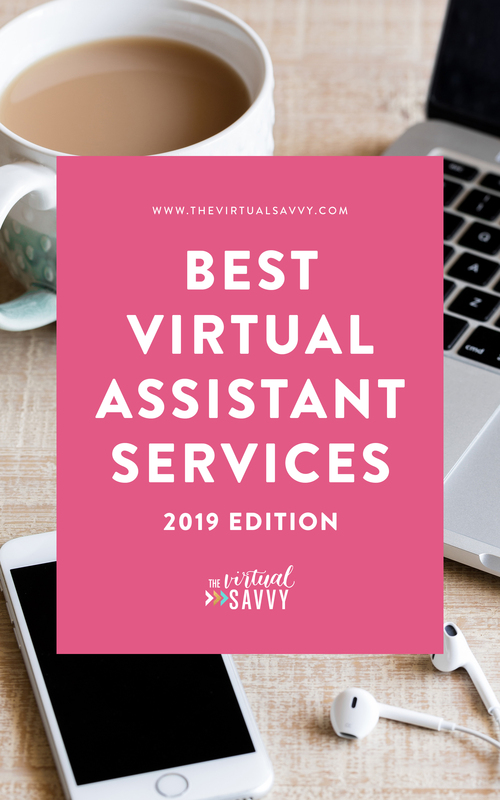 Now you know my official opinion on the BEST virtual assistant services to offer in 2019. ABBEY… where the heck do I LEARN all of these in demand services?! 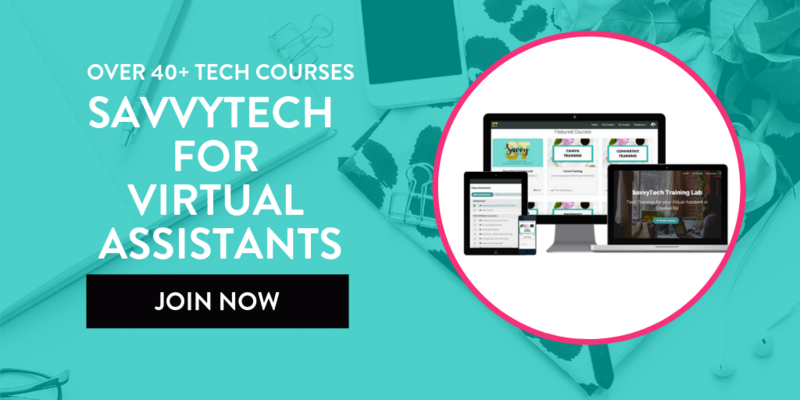 SavvyTech is our on-demand tech training lab with over 30 tech courses for Virtual Assistants. Learn high-end skills, ask questions in our community, and get access to a NEW tech course added every month. Head over to thevirtualsavvy.com/savvytech to check out all of the courses included in the tech lab! Your turn! What do YOU think? Did I miss a service on the list? Do you agree or disagree with the trends I see for 2019? Great post, huh? You should comment! Great Post! It is good to see a new list of tasks that businesses can escalate to virtual assistants. The best way to help business reach new avenues is by taking up most sought after virtual assistant services.